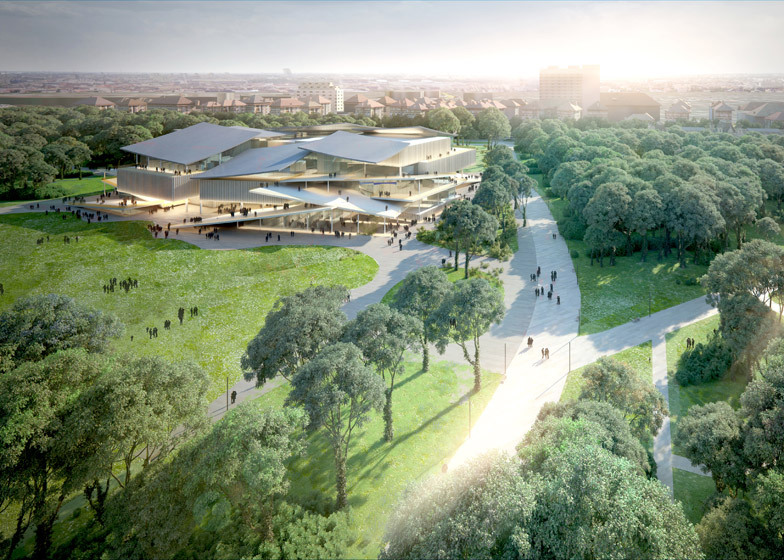 Norwegian firm Snøhetta and Japanese studio SANAA have been awarded joint first place in a competition to design one of the five new museums planned for Budapest's City Park (+ slideshow). 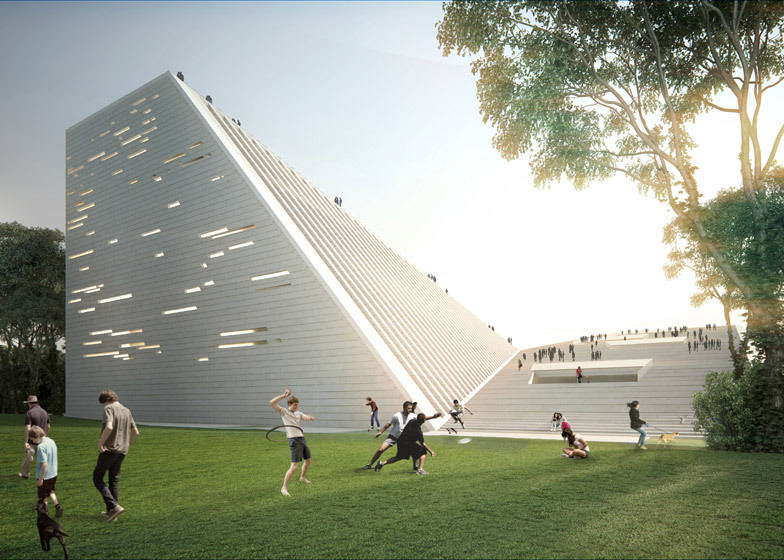 The two firms were both named winners of the contest to design the New National Gallery and Ludwig Museum, although only one will be built. 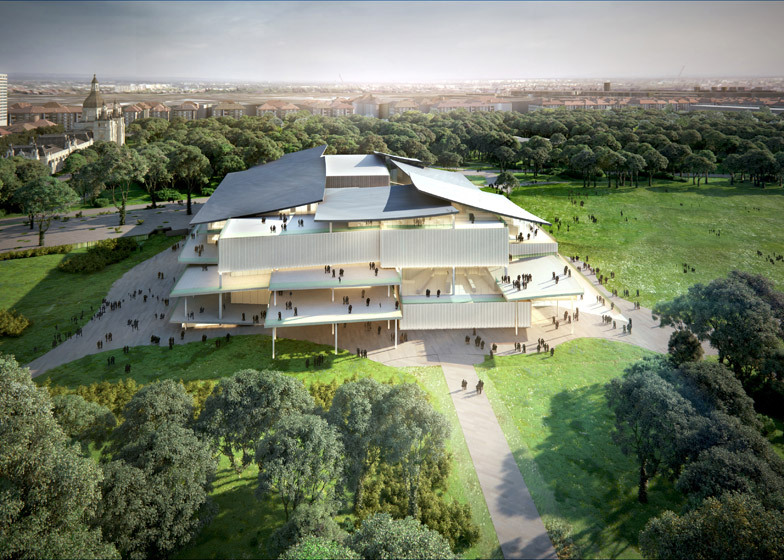 The winning structure will form part of the new cultural complex outside Budapest's city centre that will also include the Sou Fujimoto-designed House of Hungarian Music. 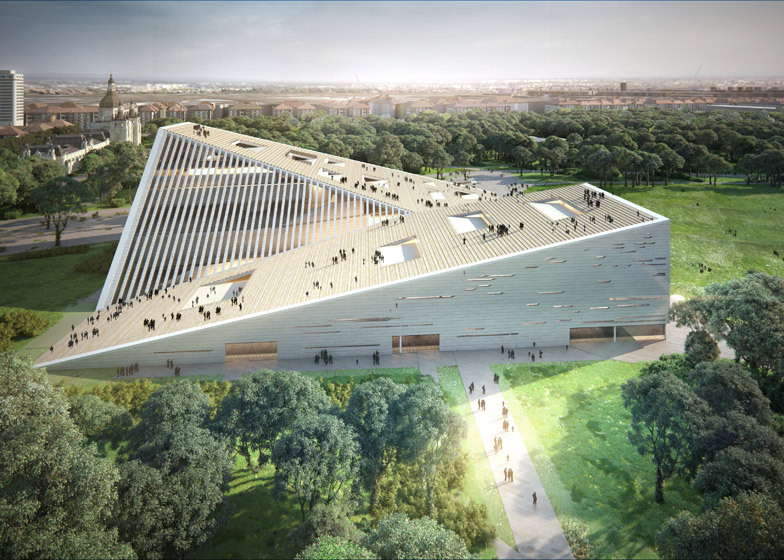 Named Liget Budapest, the project is one of Europe's largest museum developments. 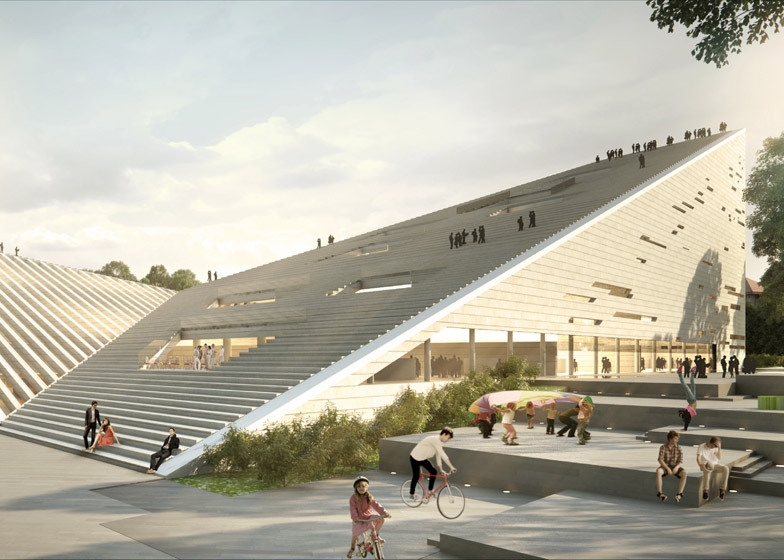 Snøhetta plans to unite the gallery and museum under a large roof that doubles as a grand public terrace, similar to its Oslo Opera House. "Architecturally we strive to create a museum building that offers exciting, modern and contemporary spaces that enable an art experience confidently suited to the display of art from varying epochs and styles," said the studio. "The juxtaposition of the two new institutions beneath a common fabric creates a space where tensions serve to inspire – a metaphysical reaction field between collections and the individual mind," it added. SANAA architects Kazuyo Sejima and Ryue Nishizawa envision a building with a roof of overlapping curved planes. The duo describe it as an extension of the park. "Ours is a contemporary form of public space – one where city, gardens and exhibition rooms become part of an experiential whole," they said. "It is a museum that fluctuates with seasonal shifts." The two proposals were selected by an 11-strong jury that included project commissioner László Baán, architect Eva Jiřičná and critic Edwin Heathcote. An overall winner is expected to be selected after the jury has met with the two teams. 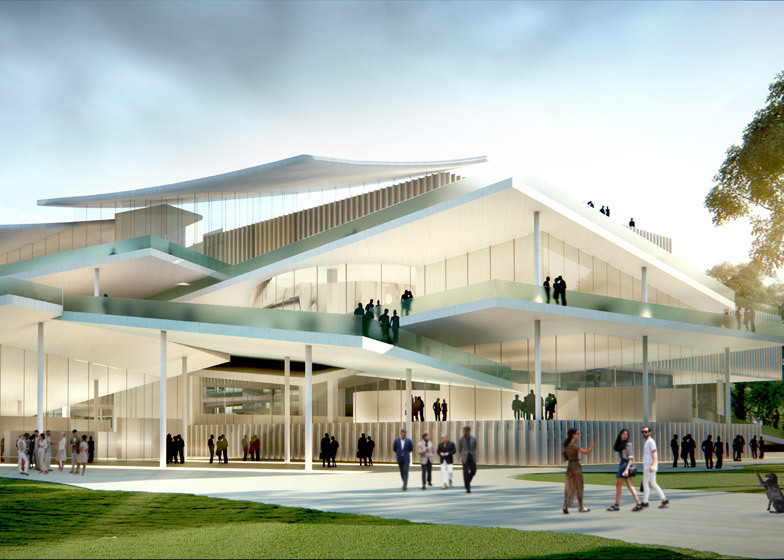 According to Baán, the winning entry will be "a modern, contemporary building of outstanding architectural value that meets 21st-century requirements and is worthy both for the City Park and for one of the most important public collections of Hungary". This was the second time a competition had been launched to design the building, because no suitable candidate could be found among the 80 submissions the first time around. Other architects shortlisted included David Chipperfield, Henning Larsen Architects, Mecanoo and Nieto Sobejano Arquitectos. 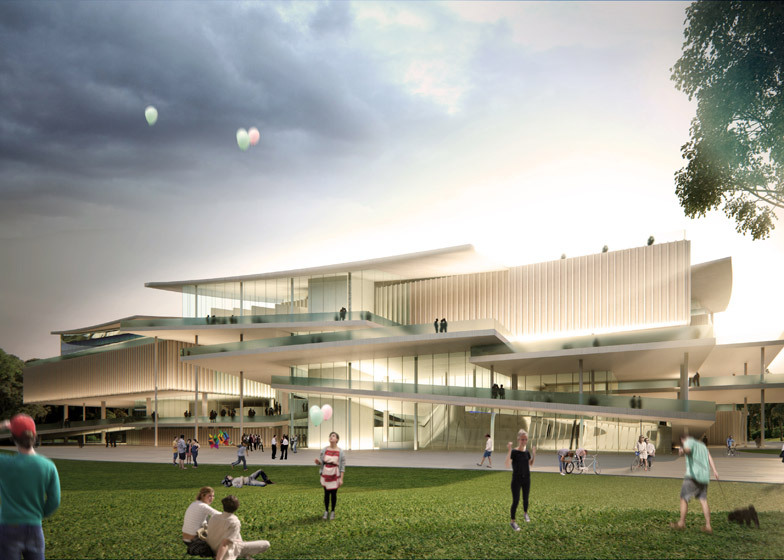 The Liget Budapest Project is spearheaded by The Museum of Fine Arts Budapest and the Városliget Zrt. 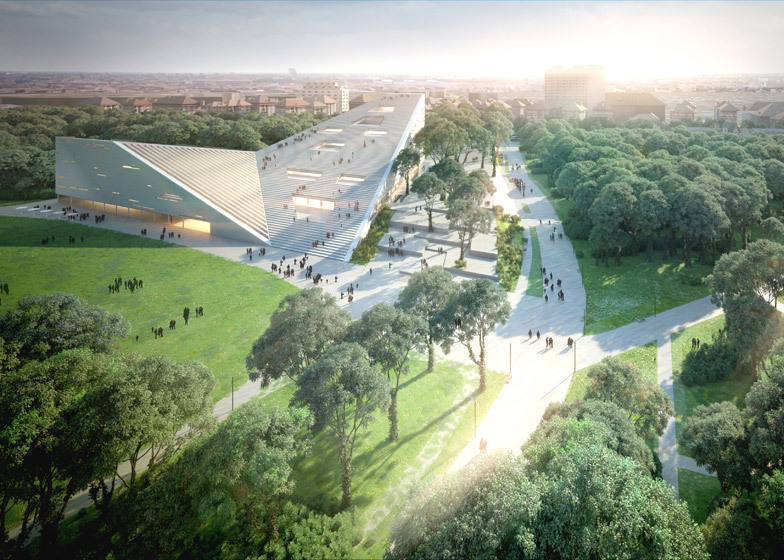 It will also include the Museum of Ethnography by French studio Vallet de Martinis DIID Architectes, as well as new homes for the Hungarian Museum of Photography – which will become FotoMuzeum Budapest – and the Hungarian Museum of Architecture, both designed by Hungarian firm KÖZTI Architects & Engineers. Construction of the £190 million development is expected to begin in 2016, with museums scheduled to open in March 2018.